Thank you to everyone who entered our Make It Yours competition in October. With such high quality and inventive entries this has been a really tough month to judge, you are all just too good! This month the first prize went to Tahil Grobbelaar who has scooped the £250 jackpot. Tahil totally transformed a set of brown dated folding chairs into pieces of art, we were all very impressed with the skill involved in updating these chairs and thought the designs were great! 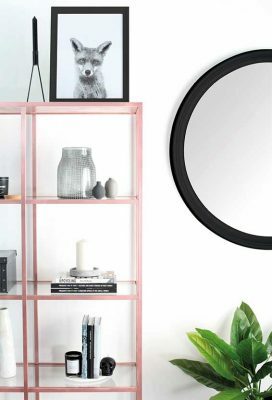 She used a selection of Painter’s Touch 20ml brush paints, Neon 250ml yellow and pink and Crystal Clear varnish aerosol to protect and finish the job. Commenting on the chairs, Tahil said “they are a real talking point when I have guests over and I love them so much I even use two as bedside table”. 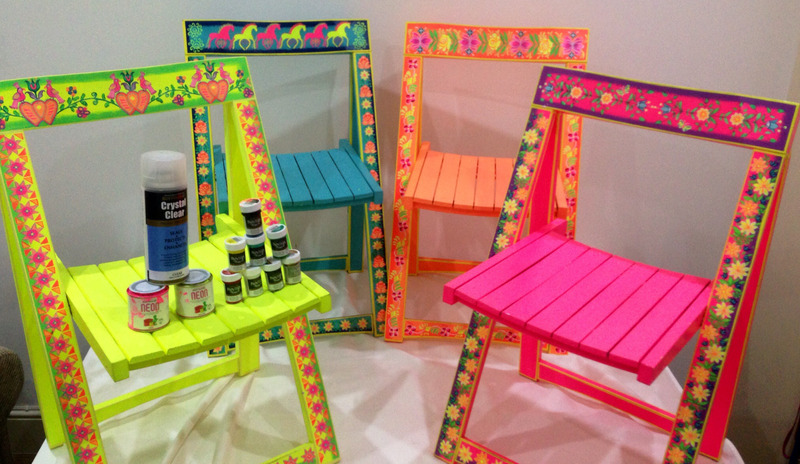 Marie Turner personalised a plain wooden chair for her home. 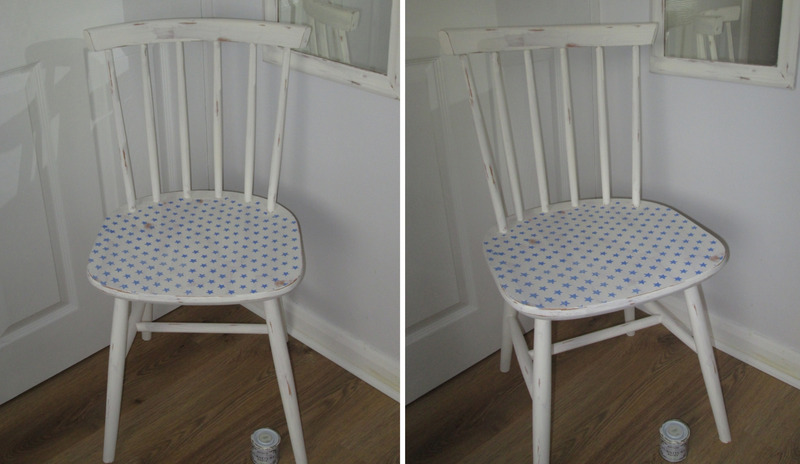 To achieve the look she used Chalky Finish Furniture Paint in Antique White and added some small blue stars, rubbing back the paint to create the distressed shabby chic look. Margare Field has taken a reproduction Georgian chair that was highly polished and given it an instant update. 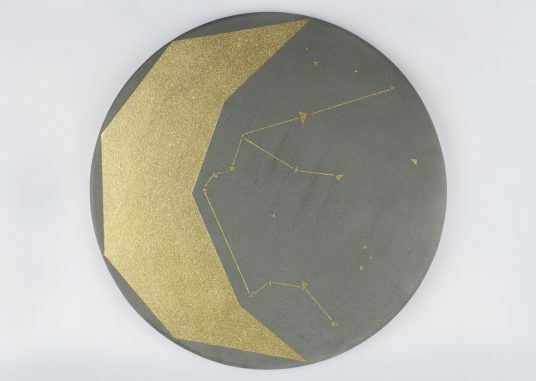 She used Surface Primer first to prepare the wood and then painted it in Painter’s Touch Winter Grey, the addition of the Mustard upholstery really makes this piece an on trend piece. We love the colour combination, Margare, beautiful job. Laura Brodie has created a super chest of draws that is certainly unique. 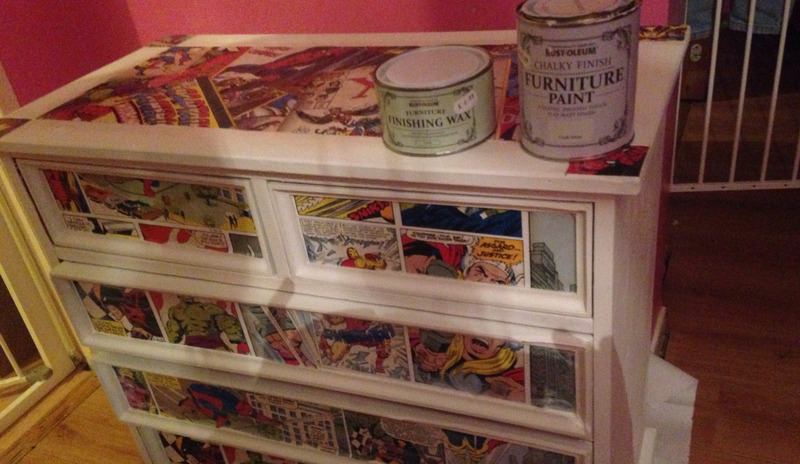 She used Chalky Finish Furniture Paint in Chalk White in combination with some fun action hero wallpaper to create a bespoke piece of furniture. 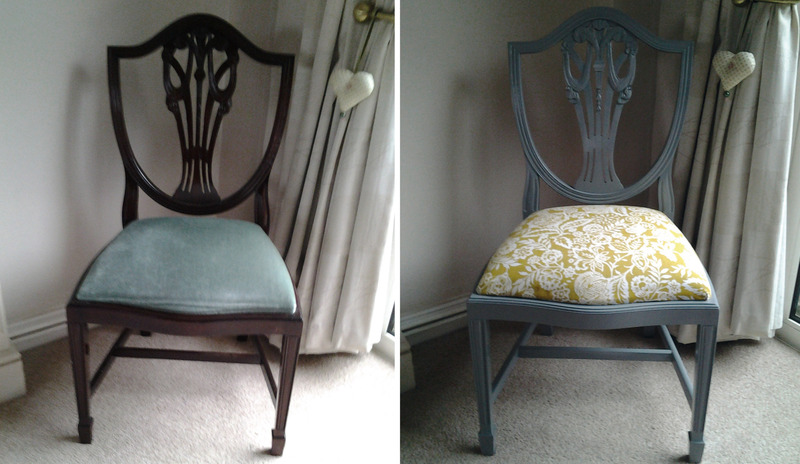 We love the idea of combining paint and wallpaper on furniture Laura! 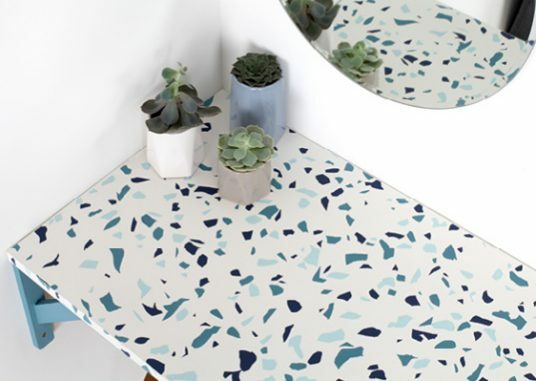 Sinead Barker has creatively used the shape of the chest of draws she picked up from an auction to create a xylophone style paint design. To achieve this she first used Surface Primer, then Painter’s Touch 400ml in Green Apple, Sun Yellow, Real Orange, Cherry Red and Spa Blue, finished off with a coat of Crystal Clear Varnish. Top marks for creativity, Sinead! 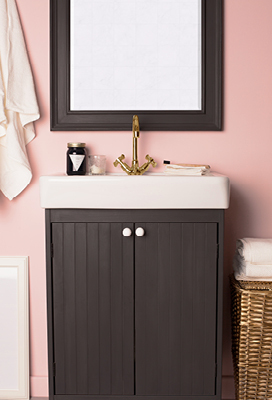 Pat Mayor has transformed a plain generic bookcase and turned it into a very handy storage unit for her bathroom. 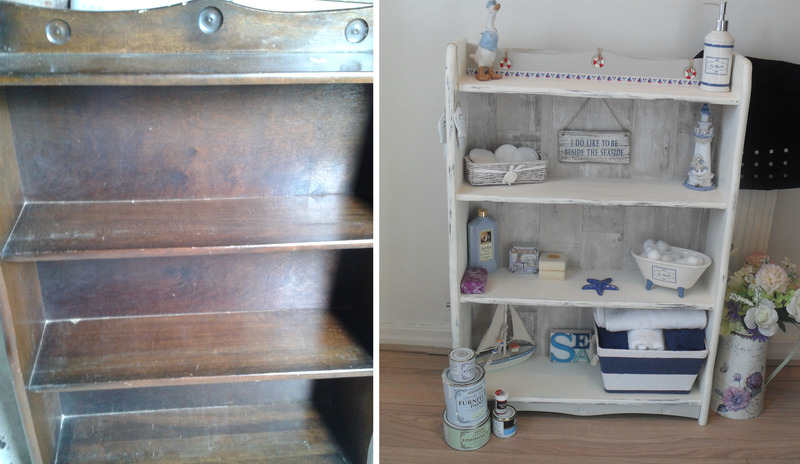 Not only has she painted the bookcase she has also created some very cute details to tie it in with her nautical accessories. 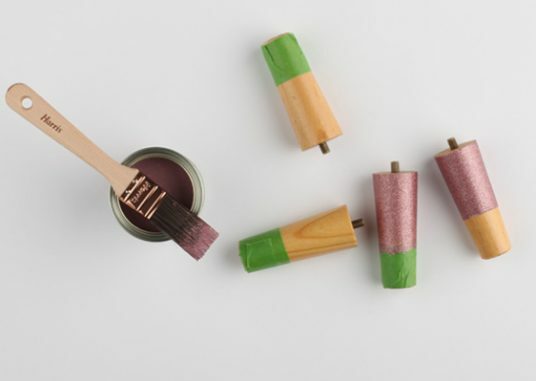 She used Chalky Finish Furniture Paint in Antique White and Winter Grey, which she says she loves the colour of and the Antique White and Painter’s Touch Bright Red 20ml to paint some washers in the style of lifebuoys. She then finished off the paintwork with a coat of Furniture Finishing Wax and some driftwood style wallpaper on the back panel to compete the look. Diana Robbins has overhauled an unwanted pine bed and turned it into a beautiful and functional piece of furniture. 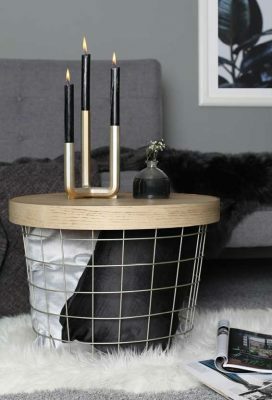 We love the imagination involved in this and applaud Diana for upcycling furniture rather than disposing of it. 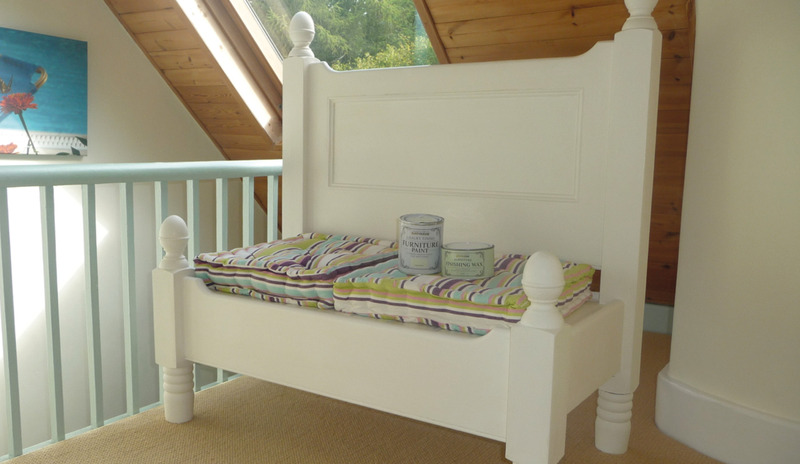 To finish her bench she used Chalky Finish Furniture Paint in Chalk White and sealed the paintwork with a coat of Furniture Finishing Wax. 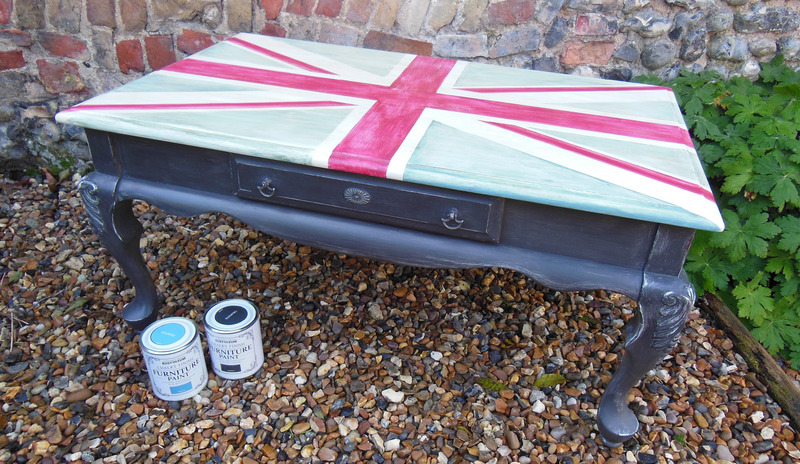 Julia Smith personalised this attractive coffee table with a distressed Union Jack flag. 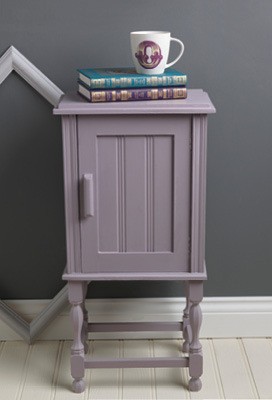 She used Chalky Finish Furniture Paint in Belgrave and Graphite, which she sanded back to create a distressed effect on the top and legs of the table. 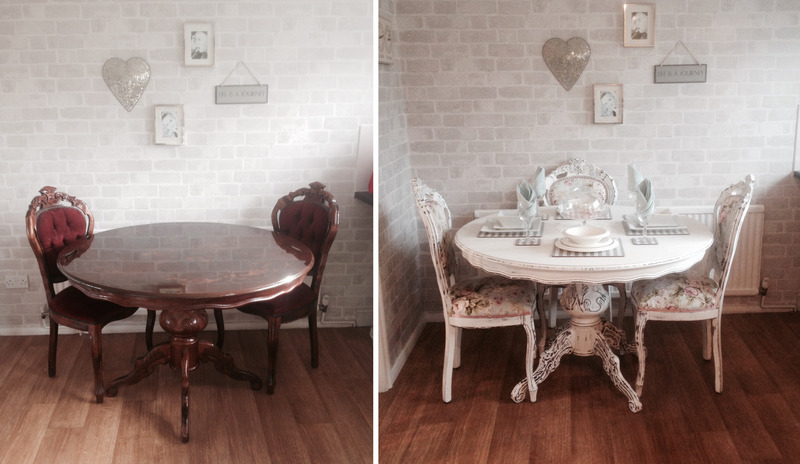 Gemma Cooper has created yet another beautiful piece of furniture, this time turning a rather dated and dark dining room table set into a very pretty shabby chic example. Using the Chalky Finish Furniture Paint in Chalk White on both the table and chairs is a great example of the effectiveness of the paint over very highly polished wood. We think this is beautiful, Gemma, keep up the good work! 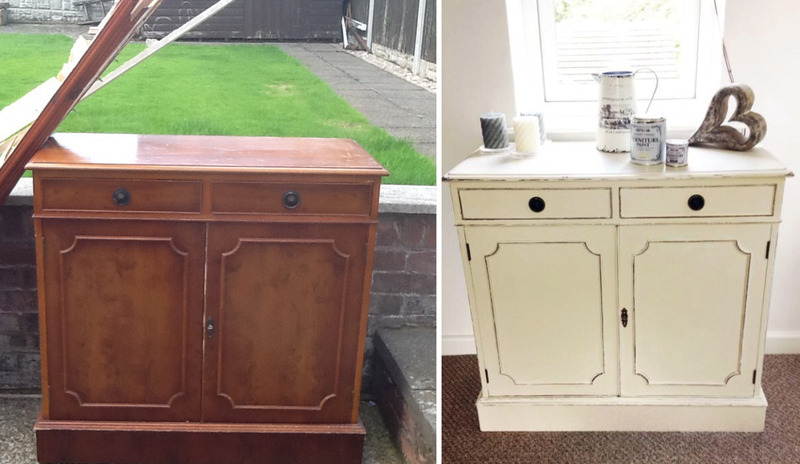 Irene Maleney salvaged this cabinet from her neighbour’s garden and rejuvenated it beautifully for her daughter’s flat. 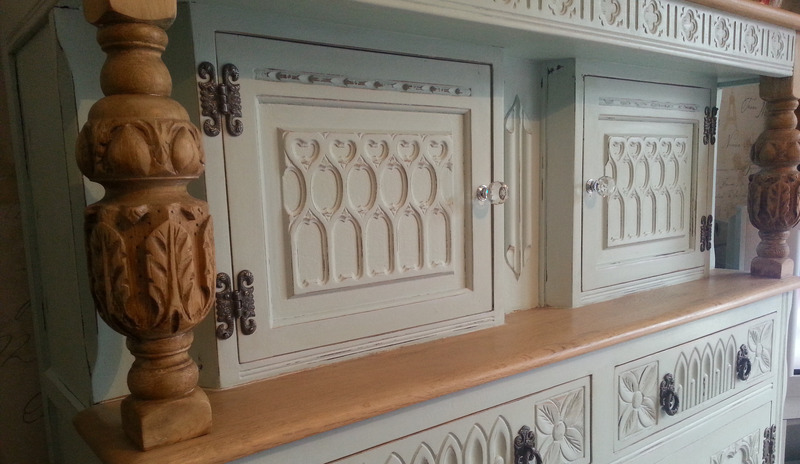 She used Chalky Finish Furniture Paint in Anthracite for the first coat and then Clotted Cream for the topcoat, rubbing it back to reveal both colours. 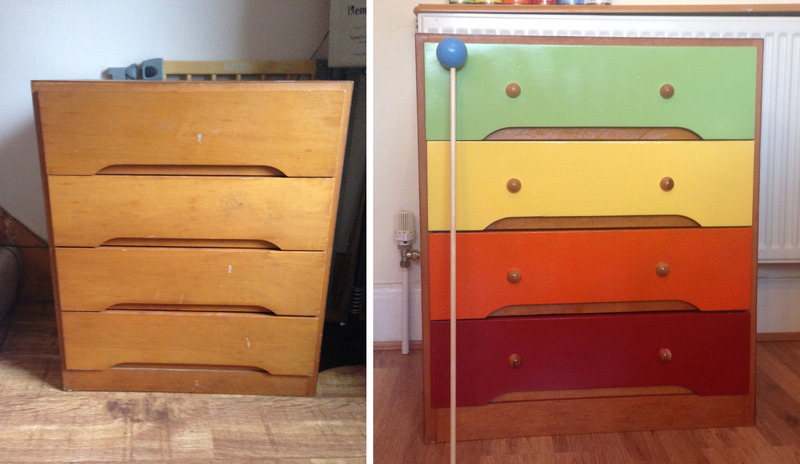 Amy Poyser has massively updated this beautiful sideboard that she bought for her front room. Using the combination of half painting it with Chalky Finish Furniture Paint in Duck Egg and leaving some of the wood sanded back, she has made it even more striking and very current. We can see a lot of work has gone it to this, Amy, it’s fabulous!